Google has released some of its plans for the future of Google Apps. 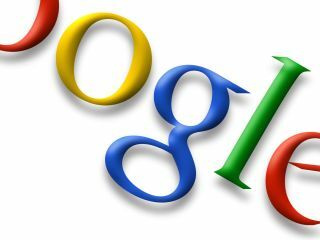 Although Google usually likes to keep news of most of its important product releases close to its chest, the company revealed its 2008 plans for Google Apps and the details will surprise many. To be released sometime next year, a new service called Google Sites will expand on the currently available Google Page Creator and will allow users to set up intranets, implement project tracking and install customer extranets for businesses. Google Sites is not necessarily the final name of this service and it will probably not replace Google Pages, by the way. In a novel twist, Google will also start allowing users to edit documents and spreadsheets offline with the help of the Google Gears plugin. Even better, offline work with Gmail and Google Calendar is on its way next year too. Google revealed that online editing will not, of course, have an immediate impact on a document or spreadsheet. The company claims the same algorithm will be used on both the online and offline version and the offline version will be merged back into online version in chronological order. According to an exclusive report from Gizmodo, AnySim, the free iPhone unlocking solution, may go open source. The solution's creators - iPhone Dev Team - have indicated that an open source AnySim could help the hackers confront the frequent Apple updates to the iPhone and "open a lot of possibilities for the future." Japanese accessory manufacturer Radius has unveiled noise-cancelling iPod nano ear buds called the radStrap NOISE CANCEL that connect to the nano through the device's dock instead of its minijack. According to the company, this helps increase audio output while allowing the device to maintain its noise-cancelling capabilities. According to Radius, the radStrap ear buds can block up to 82 per cent of ambient noise. The ear buds will be available in the next few weeks for ¥8,980 (£39).